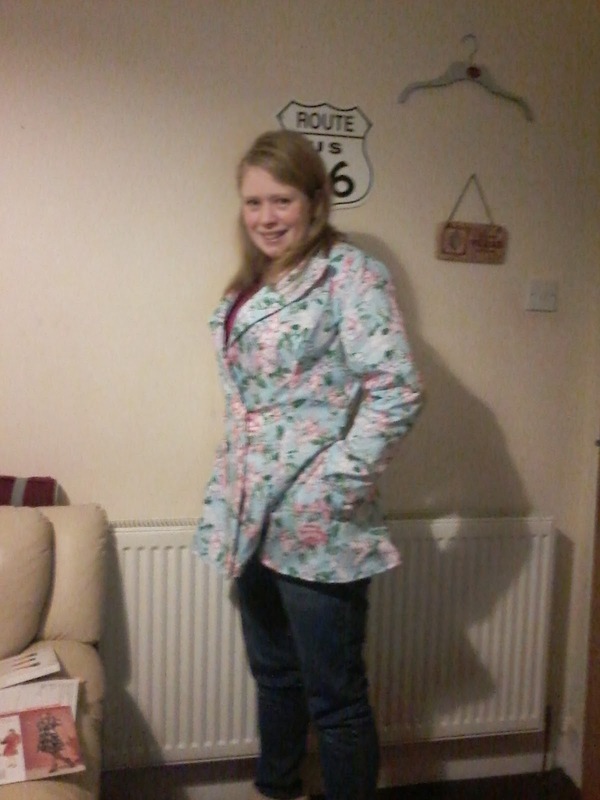 Meet the newest item in my wardrobe....My vogue jacket. Style 8346 in view A. 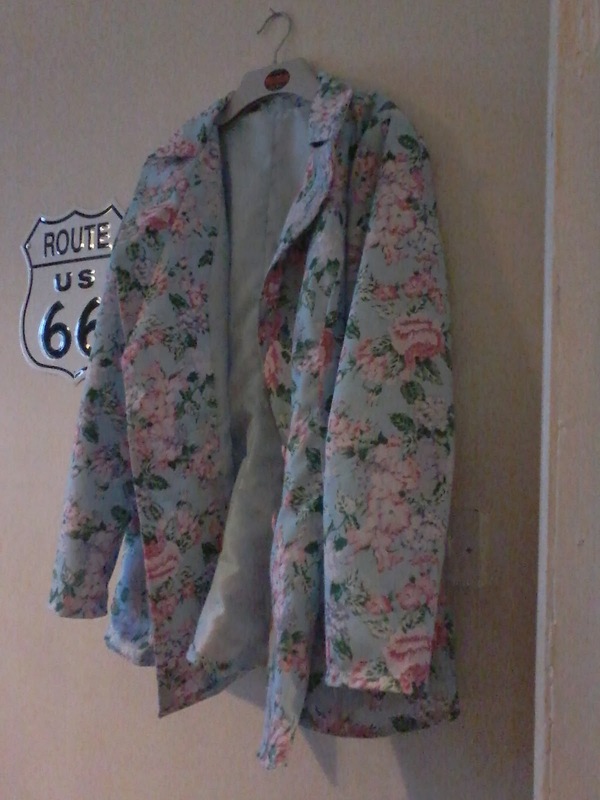 So before any more is said - lets address the rather large elephant in the room - this jacket is flowery as hell! But I like LOVE it! I cut it in a size 12 - 16(ish) a 12 across the shoulders and the bust and graiding to a 14.5 at the waist and I'm mostly happy with the results. I just wish the sleeves were a wee bitty longer. It's not that they are particularly short however i just love long sleeves that you can hide your hands in :-) and its roomy enough inside that I can get a jumper on underneath and not freeze in the traditionally 'boiling' Scottish spring! 2) I couldn't find the colour that I wanted and at that price I wasnt going to settle for second best! 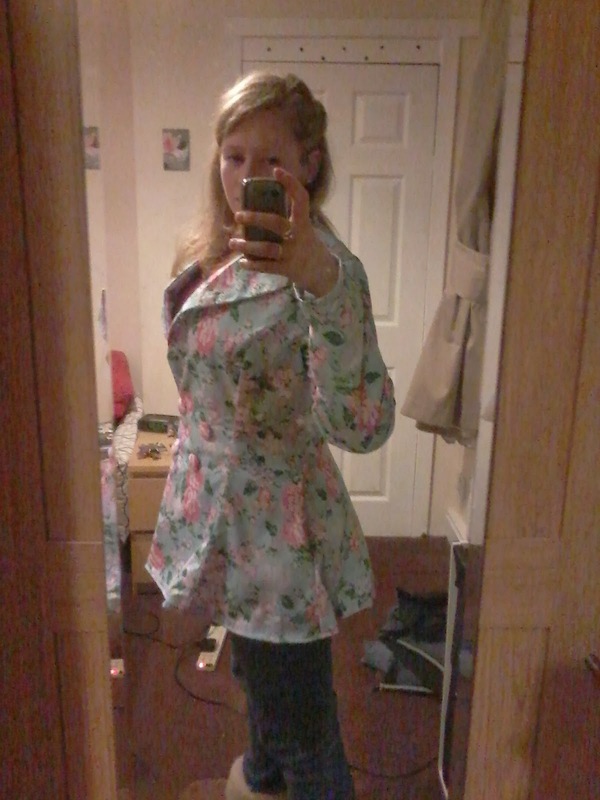 So off to the sale shop and the cheapest fabric I could find was £2/m in this awesome flowery print so I decided that if i did like the finished article it wouldn't be a waste of material and my time. 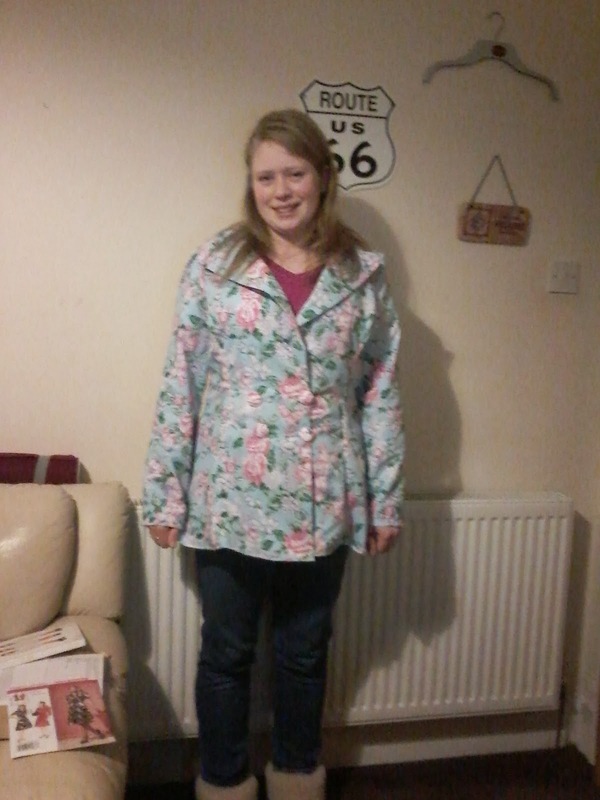 I think it paid off because the shape is awesome and the resulting coat is quite summery. I had never attempted sleeves before and were they a pain to put in or what??? I'm sure there must be an easier way than the 'hope for the best' method I used however there's only a little visible tuck on the outside and as the pattern is so busy then its not really noticeable! I thought it looked ok across the shoulders too. Another small irk was the bottom hem - I wanted to test public opinion of it so i just did a quick double fold hem. It will do for now. 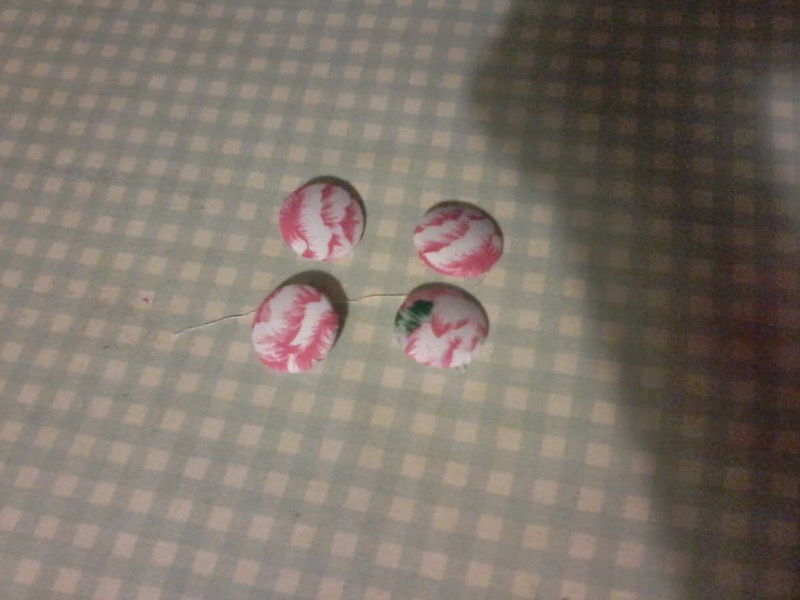 I even finished off the job with some covered buttons! 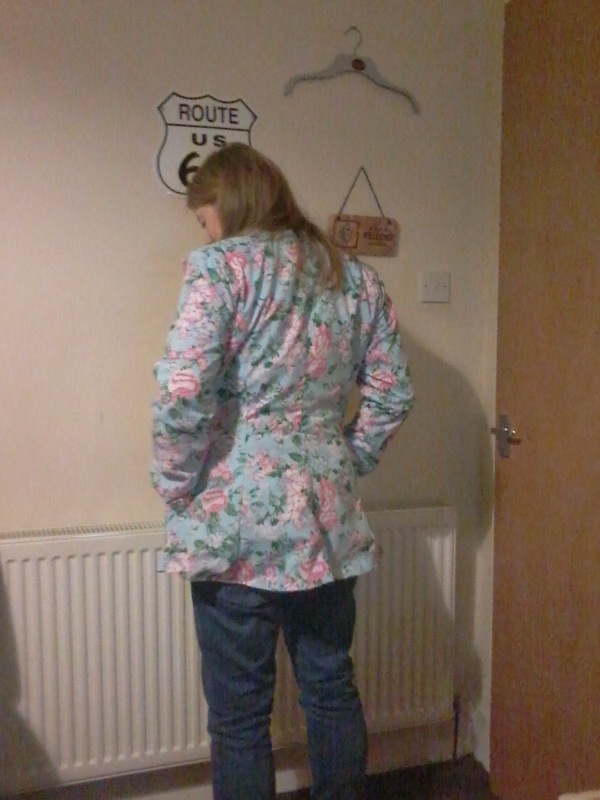 The pattern called for snap fasteners but i wasnt so keen on that idea so went with the button approach.